← Spring Break Scenes That I Love: The Del-Aires Perform The Zombie Stomp in Horror Of Party Beach! 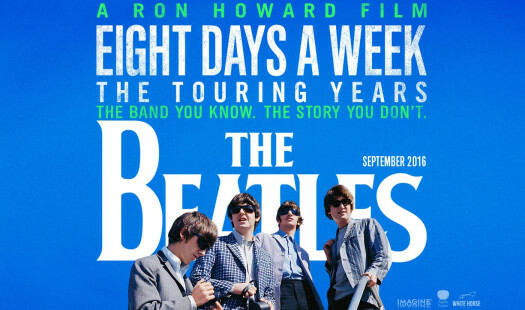 Beatle fans will have a blast watching THE BEATLES: EIGHT DAYS A WEEK – THE TOURING YEARS, director Ron Howard’s 2016 rock doc covering the Fab Four’s career from their earliest club days through the height of Beatlemania, until they stopped touring for good in 1966. 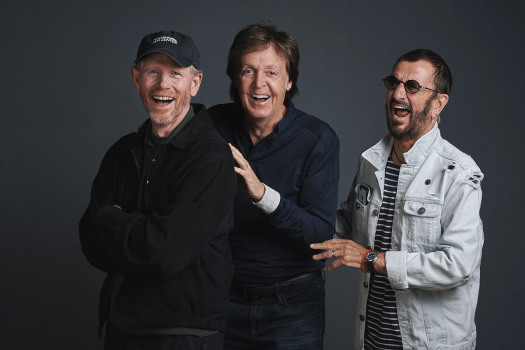 The film features rare and classic footage of The Beatles live in concert around the globe, juxtaposing their rise with news events of the day and interviews with all four members. This entry was posted in Film, Film Review and tagged Apple Corps, Cracked Rear Viewer, Gary Loggins, George Harrison, Imagine Entertainment, John Lennon, Paul McCartney, Ringo Starr, rock documentary, Rockin' in the Film World, Ron Howard, The Beatles, The Beatles; Eight Days a Week - The Touring Years, Through the Shattered Lens. Bookmark the permalink. Nice post. I enjoyed the show, and I’ll never forget the night we watched The Beatles on the Ed Sullivan Show.